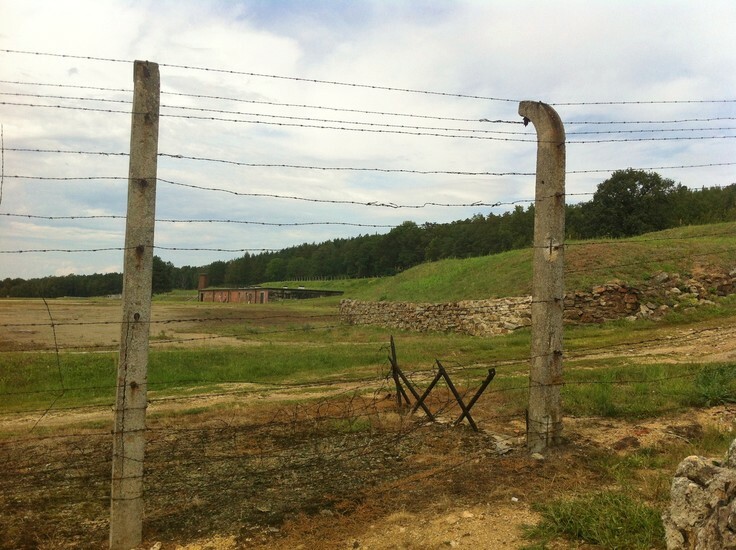 Located about 65 miles southwest of Wrocław, the small, inauspicious German village of Gross-Rosen (today known as Rogoźnice) became the site of one of the largest and most brutal concentration camps in the Third Reich. 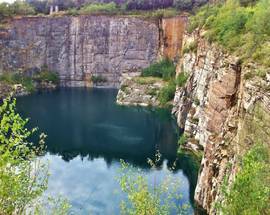 Opened as a small satellite of Sachsenhausen in 1940, Gross-Rosen became an independent camp less than a year later and quickly grew into the largest in Lower Silesia with almost 100 sub-camps around the region. 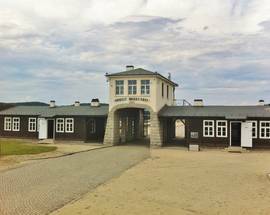 Known for its harsh conditions and high mortality rate, by the time the camp was liberated by the Soviet Army in early 1945 an estimated 125,000 inmates had been processed through its gates, 40,000 of whom never made it out alive. Today the former site of the camp serves as a memorial for those victims, as well as a public museum with several exhibits, an enlightening film and plenty of space for reflection. 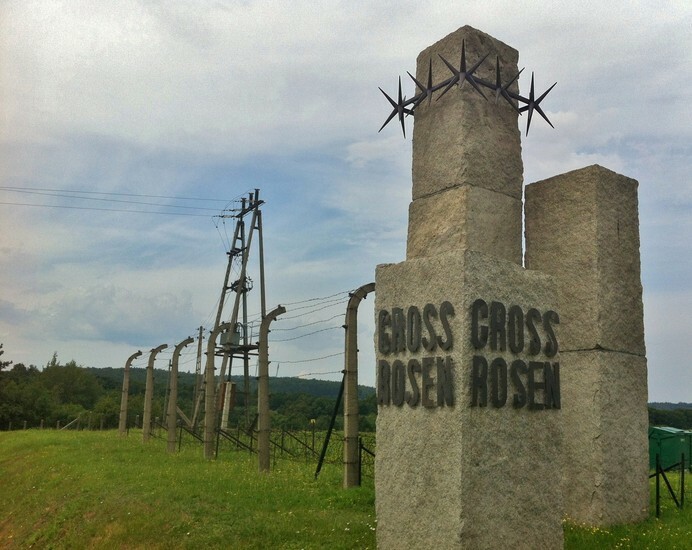 While names like Auschwitz and Dachau have been burned into the collective consciousness, lesser known but no less significant camps like Gross-Rosen serve to remind us of just how extensive, efficient and horrifying Hitler’s concentration camp system was. 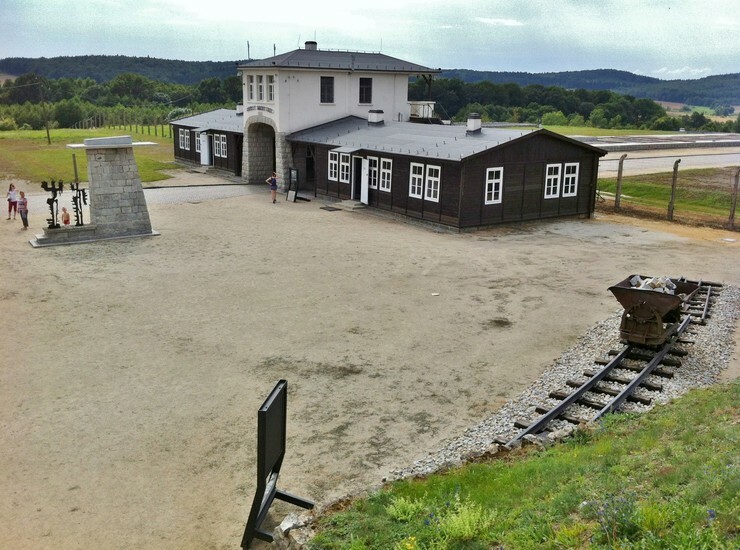 Those who take on the challenge of travelling to Gross-Rosen can expect to leave not only with an understanding of the history of the site and the tragedy of the Holocaust, but also with a reaffirmed respect for human life and the human spirit; the same respect for life that the Nazi regime’s failure to possess plunged the people of Europe into the worst hell imaginable only two generations ago. 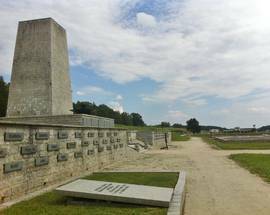 Gross-Rosen Concentration Camp came into being on August 2nd, 1940 when a transport of prisoners was sent to the SS-owned quarry on a hill above the small German village of the same name (today known as Polish 'Rogoźnice') and essentially forced to begin building the camp themselves. Soon more and more prisoners were being sent and by May 1st, 1941 Gross-Rosen had grown enough to gain the status of a self-reliant concentration camp. 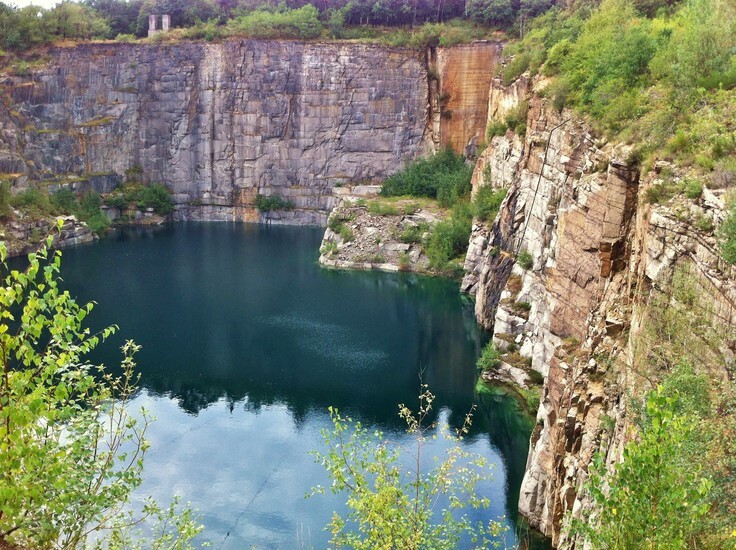 Conditions in the camp in its first two years were especially harsh with 12-hour work days spent excavating granite from the quarry, insufficient food rations and violent abuse from the SS officers and staff who were actually awarded military decorations from Nazi command for inhumane treatment of the prisoners and executions. While the famous Nazi motto written above the camp’s gate and divulged to the inmates was Arbeit Macht Frei ('Work Makes You Free'), the administration actually phrased it a different way, operating the camp under the acknowledged motto of Vernichtung Durch Arbeit ('Extermination Through Work'). At the camp’s start prisoners were forbidden from receiving mailed parcels, however the administration later reckoned that changing the policy would allow them to continue serving the same starving food rations. All packages were inspected and any valuables were stolen, but food was allowed; thus, in the Nazis’ view, people in occupied countries became partly responsible for feeding the inmates. Due to the deplorable conditions, Gross-Rosen was regarded by the Nazis themselves as among the worst of all the concentration camps. An increasing emphasis on using prison labour in armaments production lead to the large expansion of Gross-Rosen in 1944, when it became the administrative hub of a vast network of at least 97 sub-camps all across Lower Silesia and the surrounding region. While several hundred Jews had been prisoners of the camp between 1940 and 1943, most of its population were Polish and Soviet POWs. However as camps further east began to be evacuated, a vast influx of Jews began to arrive in Gross-Rosen, including prisoners from Auschwitz for whom a whole new annex of the camp was built specifically in the fall of 1944. 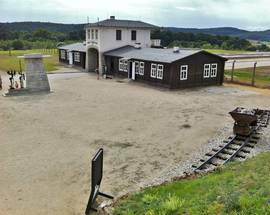 [Readers familiar with the story of Oskar Schindler may know that some of his Jewish workers were sent to Gross-Rosen on their way to Brünnlitz, which was itself a sub-camp of Gross-Rosen located in Czech Republic.] Between October 1943 and January of 1945 as many as 60,000 Jews were deported to Gross-Rosen, mostly from Poland and Hungary. Gross-Rosen also had one of the highest populations of female prisoners in the entire concentration camp system at this time. 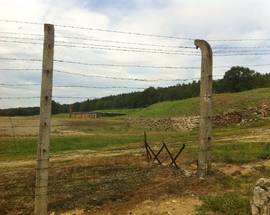 One of the last camps to be evacuated, in early February 1945 the Germans forced some 40,000 prisoners, half of whom were Jews, on brutal death marches to the west which lasted days, and even weeks in some cases. 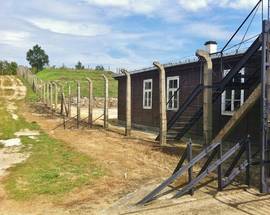 With no food or water, freezing conditions, and an SS policy of shooting anyone who looked too weak to continue, many of the former inmates did not survive to freedom. Gross-Rosen was liberated by the Soviet Army on February 13, 1945. 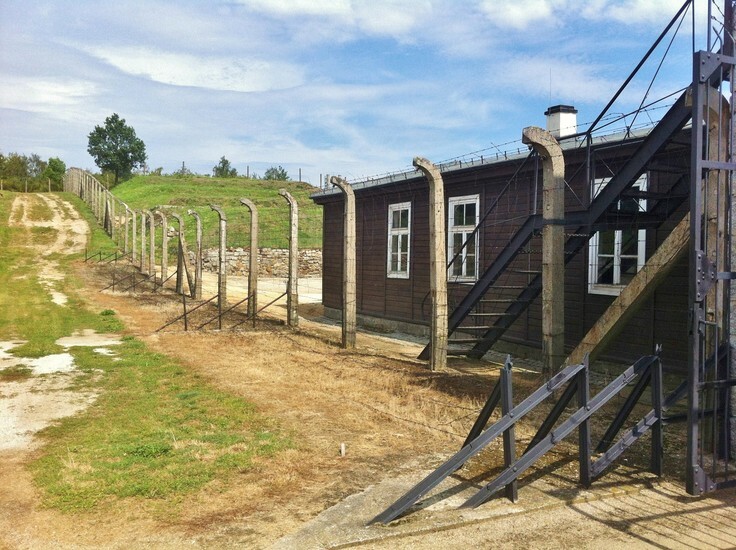 It is estimated that 125,000 prisoners went through the camp, 40,000 of whom perished there. 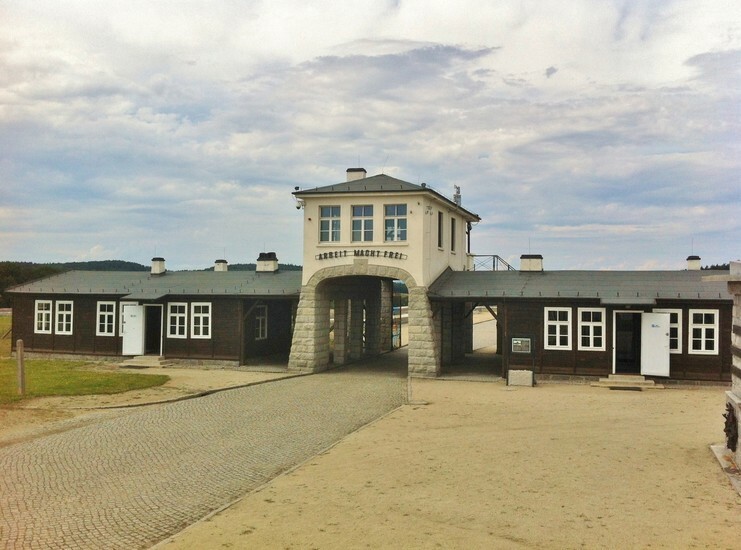 A visit to Gross-Rosen begins by visiting the parking attendant just inside the entrance gate, whose small kiosk also serves as the camp’s information desk. If you came by car you’ll have to pay 3zł for parking, which is essentially the camp’s admission price if you aren’t going on a guided tour or interested in seeing the film. Admission to the camp is officially free, but there’s really no reason not to pay the nominal fee of 3/5zł to see the quite excellent film; it’s offered in 30 or 60 minute versions and can be viewed in the former SS Canteen building in almost any language you want, whenever you’re ready. At this window you can also pick up some valuable info, maps and guidebooks to the camp in English. Visiting the camp takes a minimum of 2 hours, but can take up to 4 hours if you’re as thorough as we were. 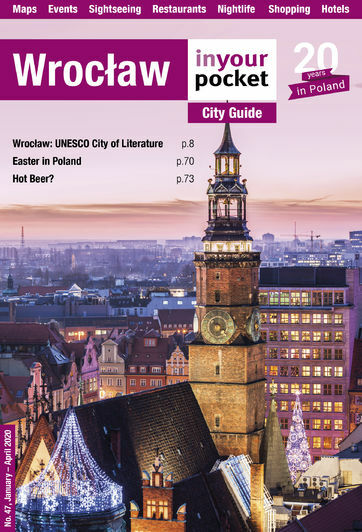 With travel time it is basically a full day’s outing from Wrocław. Be aware that there is no food or drink available at the camp, with the exception of a small Nescafe coffee vending machine near the bathrooms on the ground floor of the former SS Canteen. Though the machine does have a button labelled ‘tomato soup,’ we strongly recommend you pack a lunch for your visit, rather than try your luck pressing that button.